Keyless entry, if the emergency key in the remote becomes dislodged when in your pocket, the immobilizer light will flash and car will not start, check that it is fully pushed in. 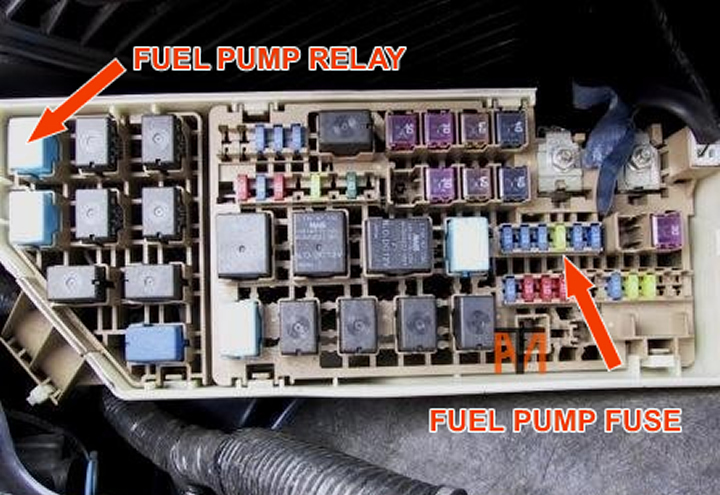 RX-8 flood very easily, if not warmed up in cold weather, to start engine after being flooded first try accelerator fully open and crank engine, if no luck remove fuel pump fuse or relay in under bonnet fuse box see picture. 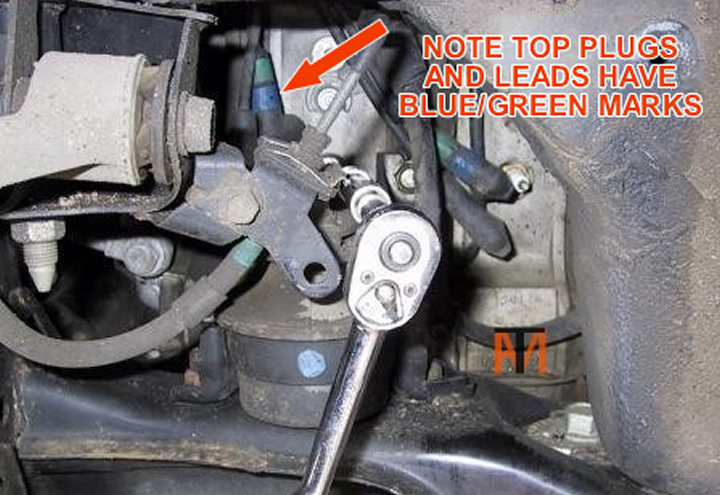 If still no luck you will need to remove the spark plugs see picture below. 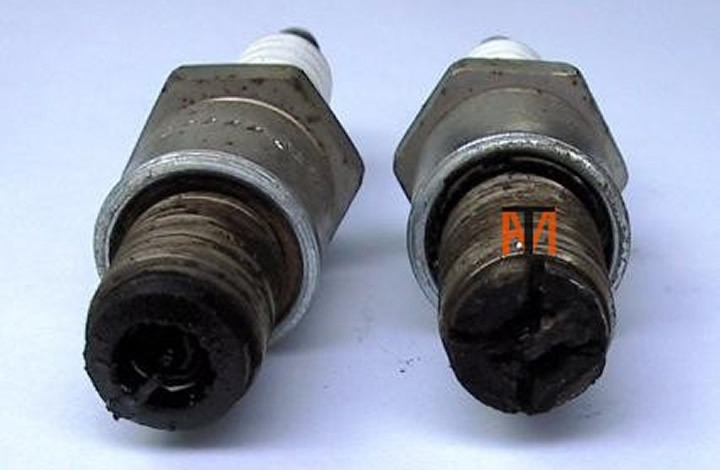 To remove RX-8 spark plugs you will need to remove the N/S/F wheel, you can then remove the small rubber shield, and then with a socket set you can easily remove the spark plugs. Note the top and bottom spark plugs are different (see picture) the top spark plugs have a blue/green line to match the top two plug leads. The spark plugs need to be cleaned and dried or a new set fitted. You may need to remove plugs and dry the plugs twice if temperatures are very low, try heating plugs before refitting. These spark plugs had done 20,000 miles from new and were very heavily failed with carbon, this is because theses engines burn a lot of oil (1litre every 1.000 miles) I would have change these plugs for a new set, but it was a Sunday and the dealer was closed, so I cleaned them with a wire brush and carburettor cleaner and it started. I think this carbon build up makes this engine flood easily.